Internet has soon captured a significant space of human lives all over the world, to the extent that people do not even think twice before shopping online. With the success of online shopping, ordering medicines online is also a common practice these days. While shopping medicines online save you a whole lot of money, they also come with their own set of potential hazards. So, how do you protect yourself from the risks while buying medicines online? 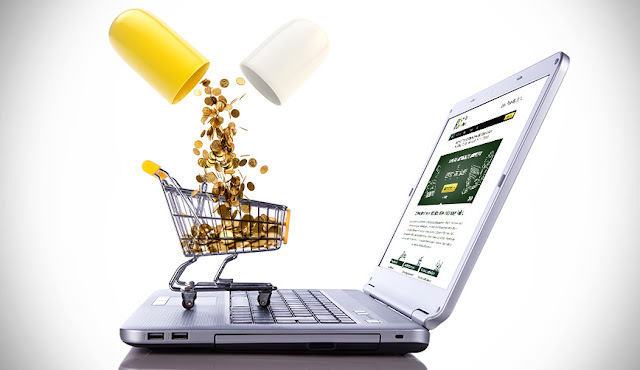 Lower prices and huge discounts, sometimes up to even 90% is one of the biggest factors intriguing the customers to prefer online pharmacy over the conventional ones, but what we may overlook at times are the hidden or additional costs like, the shipping fees. Hence, it’s better to be informed of the closing price before you complete the order. While you can order for medicines online privately and comfortably with a free delivery at your doorstep, however, it’s important that you cross-check the legitimacy of the website, that is, if they have a certification. Ensure that the pharmacy website states their privacy and security policies in a way that’s easy to understand. Buy medicines with a proper prescription from a licensed medical practitioner. Check with them if they have their license details available and where are they located. Resorting to no-prescription pharmacies, lifestyle pharmacies or even the subscription pharmacies are deemed as illegal. According to findings by LegitScript, around 30,000 to 35,000 online pharmacies have been found illegitimate of which 96% of them come from across the globe, including the US. 92% of them they say are running their business in an unlawful manner quite unabashedly. By illegitimate they mean that these pharmacies have failed to abide by the related statutory compulsions. With the legitimacy ratio of 3.5% to 5% by website and 25% to 33% by merchant, it is indeed a huge concern. However, the brighter side is that the number has considerably gone down in the last three years. These pharmacies may have sufficient stock of controlled drugs that serves the purpose of people living even far off; however, in such cases you should also have their physical address or phone number. Such online medical stores with no or false information on their website are most likely to sell spurious, below average or tempered medicines, or may not even send anything at all. While online shopping has evolved over the years with many secured payment systems in place, considering that majority of the internet pharmacies are illegitimate there are high chances that they may not have proper privacy policies or encryption technology in place, and hence may not protect your personal and account information sufficiently. Finally, knowing that majority of the online pharmacy stores across the world are selling medicines legally, with certified policies and it becomes their responsibility to deliver correct medicines and one additional feature is that it can be replaced if any problem occurs. So to buy medicines online is a quick technique and it is also very much secured as well as safe.